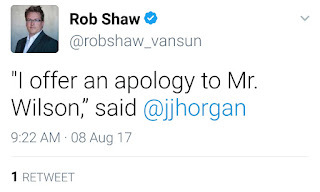 As for the public allegations made at Wilson, it's entirely appropriate that Horgan and Ralston apologize and do so with humility. 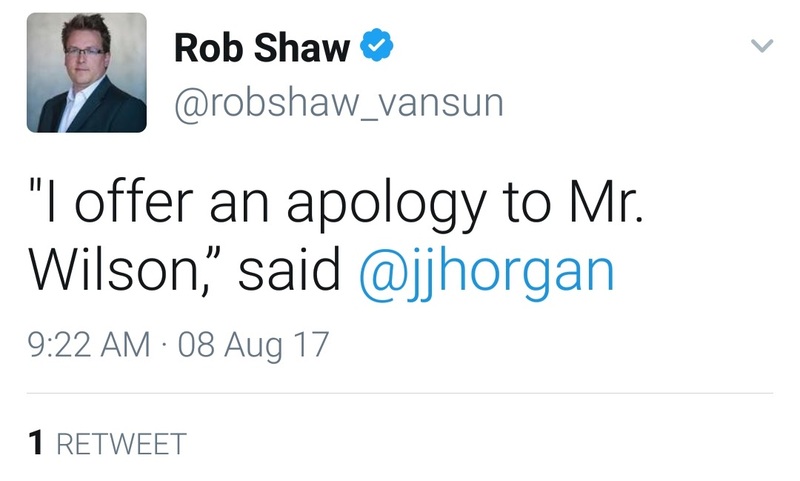 The last time such a powerful politician made a mistake this bad, was when Christy Clark personally accused the NDP of hacking the BC Liberals website. "we watched them do it" was a line she used. 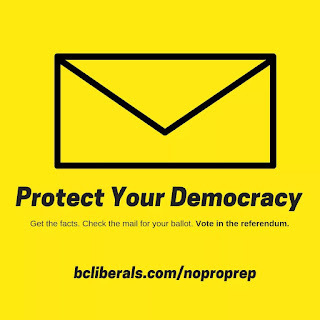 When the facts came out that it was an employee of a former independent MLA that had discovered a weak link in the BC Liberals website, Christy Clark had to climb down from her position. How did she apologize? In a voicemail that she made to John Horgan. How did she reveal this? In a teleconference with reporters in a dusty room of the legislature. Leaders lead. But they're just as human as the rest of us. Sometimes that leadership test comes in the form of humility in the wake of a mistake. Given this, the contrast between Clark and Horgan can't be more clear, and BC is better off for it.